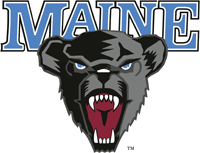 The Black Bears Men's Hockey team skated past Merrimack 3 - 2. The Women's Basketball team dropped a tough game to Delaware 55 - 40. The Worcester Sharks down the Portland Pirates 4 - 2 Sunday at Worcester. The New England Patriots, down 14 - 3 at one point, came back and finished off the Seattle Seahawks 24 - 21. The win was costly though as the Patriots lost 4 players to injury, including Vince Wilfork. The Bruins keep on a rolling, shutting out the Tampa Bay Lightning 4 -0.